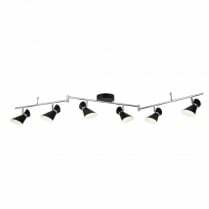 Searchlight presents, new for 2018, the Diablo range of spotlight fittings. 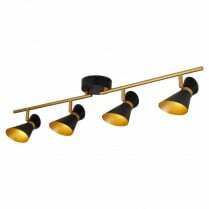 Available in Black with gold or white and chrome details, the Diablo series includes a variety of ceiling fittings, a switched wall light, and table and floor lamps. 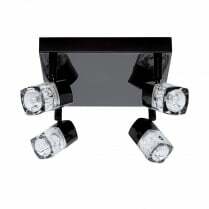 Each light is independently articulated and the wall spot is supplied with an integrated pull switch. 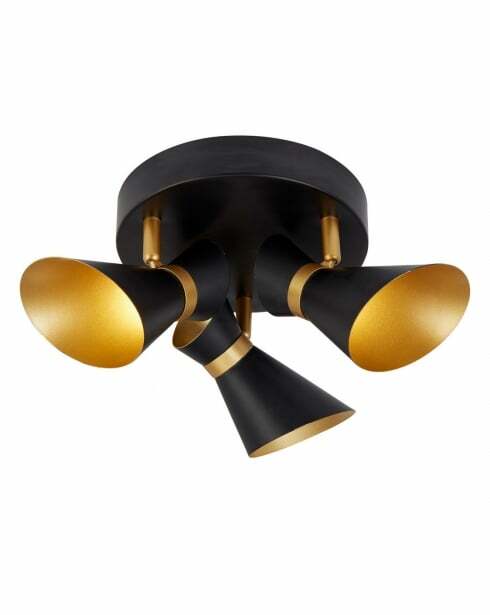 The 5923BG is a three light spot cluster in black and gold and features integrated LEDs which provide 400 lumens of warm white (3000K) light. The LEDs in this fitting are not replaceable and it cannot be used with a dimmer switch. The 5923BG has a height of 17cm, and a diameter of 36cm.